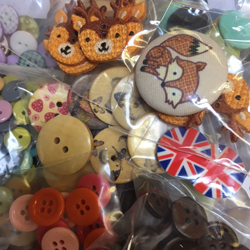 We have a great selection of quality buttons in these packs which we will send at random. They will be high quality synthetic, shell or wood, and the quantities vary from 2-30 per pack. Stock up your button stash!